Legendary English singer Morrissey has attacked Kate Middleton and Prince William during a concert in London. According to NME, this was also joined by a picture of the Queen giving the finger too as well as graphic images of various animals being led to the slaughterhouse. This isn’t the first time that Morrissey has attacked the Duchess Of Cambridge. According to the Mirror, Morrissey called Kate Middleton an “airhead” in a 2,000 word blog post that also criticized Pippa Middleton for laughing as she stood over 50 dead birds. “The sick face of modern Britain, Pippa Middleton will kill deer, boar, birds – any animal struggling to live, or that gets in her socialite way. “This is because her sister is, of course, Kate, who herself became ‘royal’ simply by answering the telephone at the right time, and this association allows Pippa’s kill, kill, kill mentality to be smilingly endorsed. Morrissey then asked his adoring fans to “let [Harvest Records] know” about their dissatisfaction with the record. World Peace is None of Your Business was actually released back in July. However, since then, the pair have become embroiled in various public arguments. 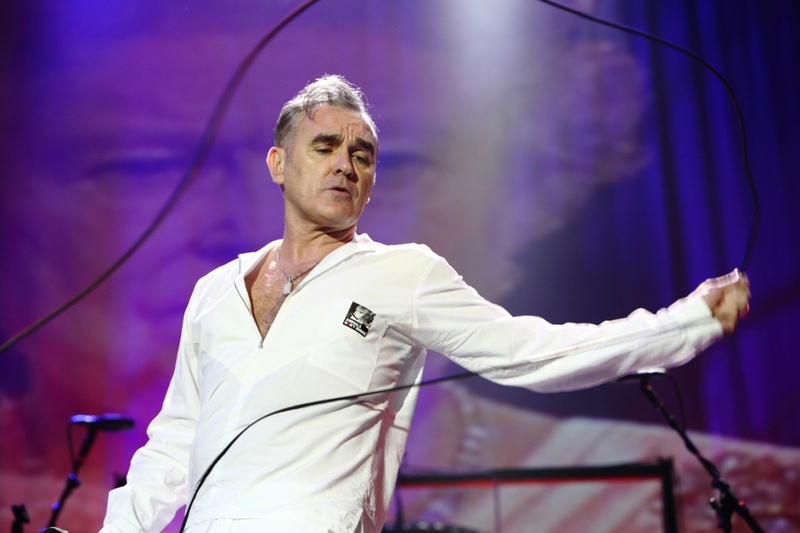 Morrissey has insisted that he has been dropped by Harvest Records, but they have denied that’s the case.